Fldigi is a Digital modem program for Linux, Free-BSD, OS X, and Windows (XP, NT, W2K, Vista and Win7). 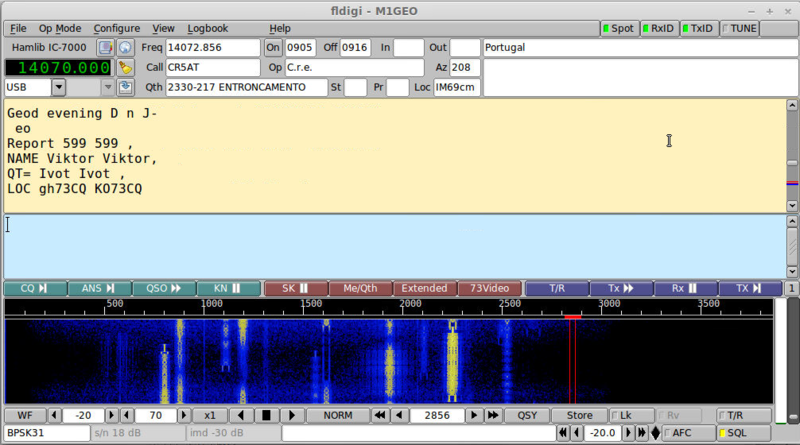 As I could never remember the exact settings for my Icom IC7100 with Fldigi, I have decided to add them here. I also use the following hack to get hamlib to talk to the IC7100. 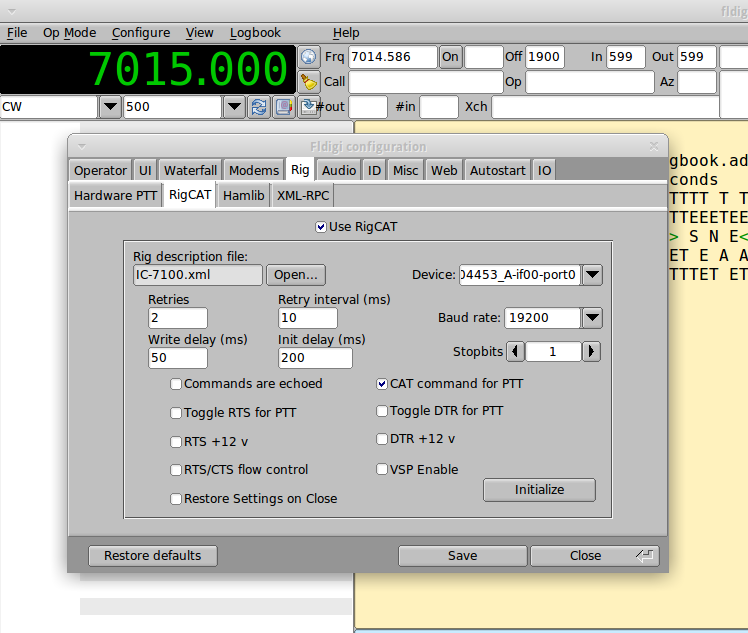 Using this trick, hamlib talks to the IC7100 as if it’s a IC7000, which seems to work well enough to set/get modes, frequencies, power, meter readings, and PTT.